Greg Taicher, captain of the lacrosse team and SGA vice president (Diana Lam). Rollins Student Government Association (SGA) welcomed Greg Taicher (‘19) as the first student-athlete to serve on its executive board. This will be a busy year for the senior who is captain of the men’s lacrosse team and vice-president of SGA. In addition to his classwork, Taicher has lacrosse six days a week and SGA meetings every Wednesday. Though it is still early in the year, Taicher believes he can balance all of these responsibilities. “With it being my senior year, I wanted to get involved more and make a difference, even though I’m sure there’ll be some busy weeks and late nights,” he said. Despite being involved in student government in high school, this is Taicher’s first year participating in SGA at Rollins. His turn as vice-president of SGA would not have occurred without his running mate and current president, Nagina Chaudhry (‘19). “I’ve had classes with [Greg] in the past, and I was impressed with how informed he seemed,” said Chaudhry. 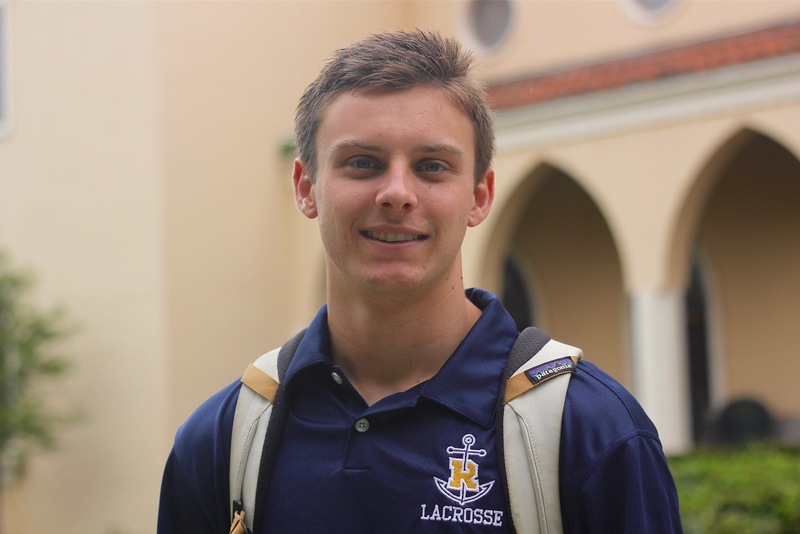 While it may be Taicher’s first year participating in student government, he has been on the lacrosse team each of his four years at Rollins. His distinguished play has earned him All-Sunshine State Conference (SSC) honors in back-to-back seasons. With the upcoming season in mind, Taicher’s focus is on the team’s performance. After losing to eventual division runners-up Saint Leo in last year’s SSC semifinals, he anticipated the team doing even better this year. SGA will have its own influx of newcomers on Sep. 12, when the organization hosts an informational meeting for people interested in joining. As vice-president, Taicher supervises and cooperates with the senate to address the potential concerns of the student body. Taicher and Chaudhry want to increase students’ involvement with the SGA. “We’re always trying to drum up more participation,” said Taicher. Among Taicher and Chaudhry’s many goals for the forthcoming academic year are increasing school spirit and turnout at sporting events, bringing a smoothie bar to the gym, and developing a student life app. The proposed app would allow students easy access to such relevant information as dining hours and services, major and minor maps, event calendars, and sports schedules. “Nagina and I have been working with the IT department and Rollins’ computer science students to develop this app,” he said. Taicher’s involvement in SGA has already accomplished one end. “Already, we’ve had a few other athletes say that they wanted to join SGA; they wanted to get involved, so we’ve already seen some of the student participation we want,” Chaudhry said. SGA as a whole is comprised of an executive board, a judicial board, and a senate. The aim of the organization is to represent Rollins students’ interests within the college’s administration. The regular season for men’s lacrosse begins in the spring, while SGA has its first meeting at 6:30 p.m. on Wednesday, Sep. 12 in the Bieberbach Room.